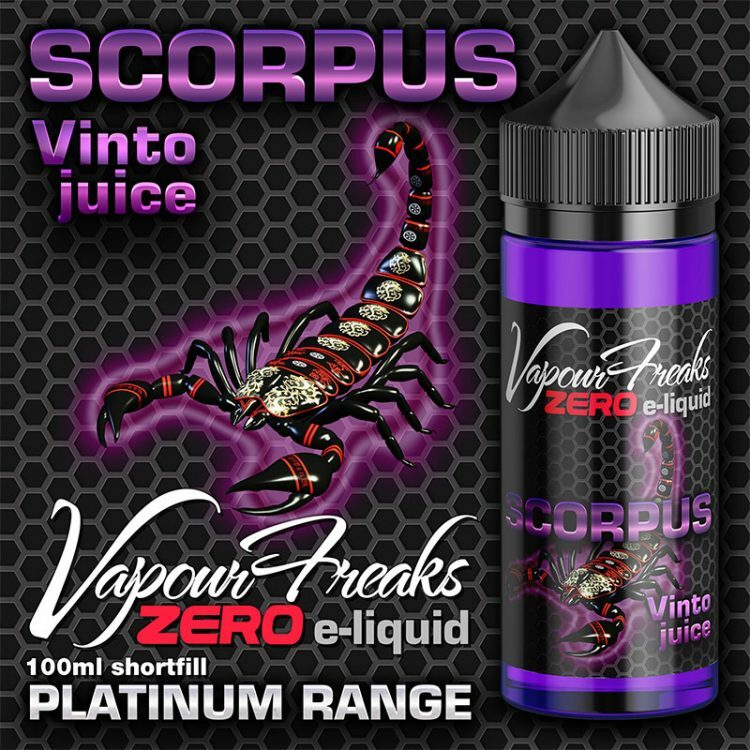 All our e-liquids are carefully crafted and tested in The West Midlands UK, using gourmet natural and artificial flavourings. 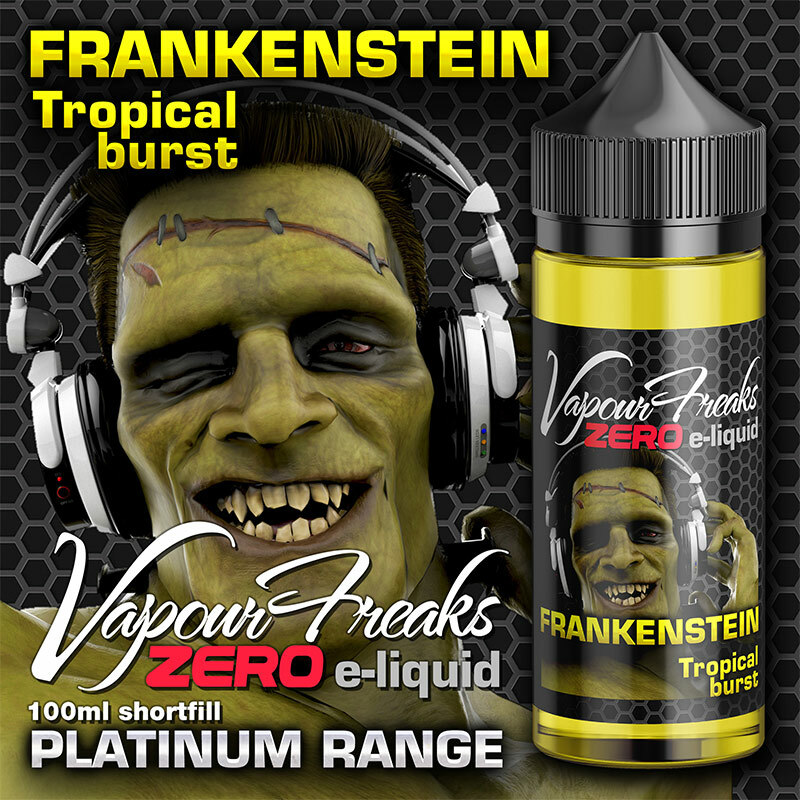 The base is 70% Vegetable Glycerine and <30% Propylene Glycol. 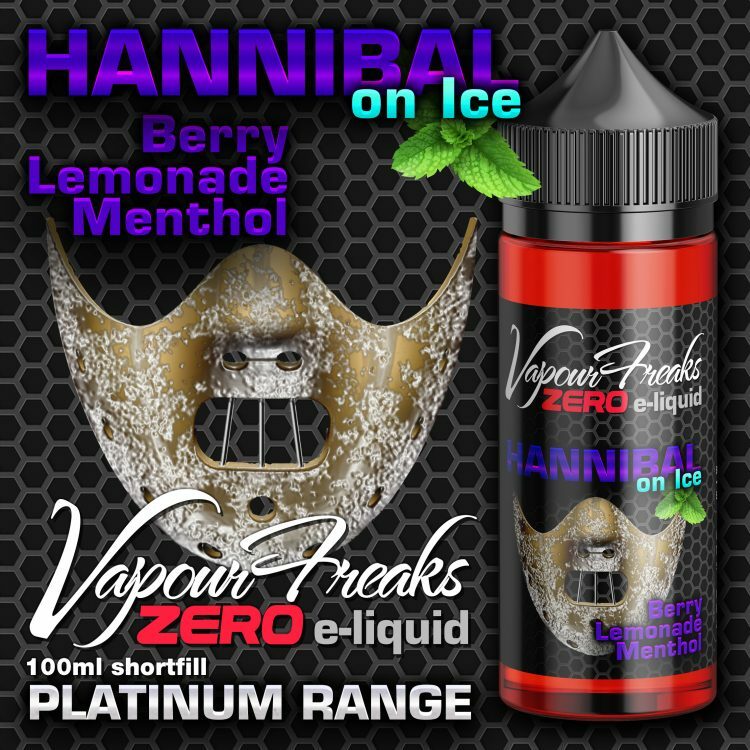 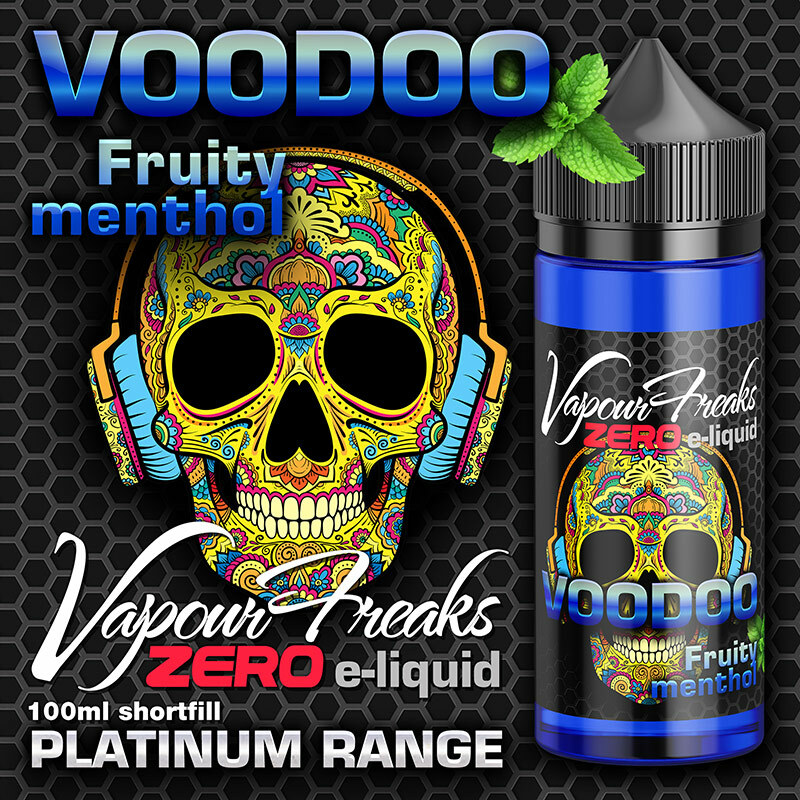 Vapour Freaks e-liquids are tasty fruit flavours such as grape, mango, blueberry, cherry, strawberry and orange; and we also have many in menthol versions. 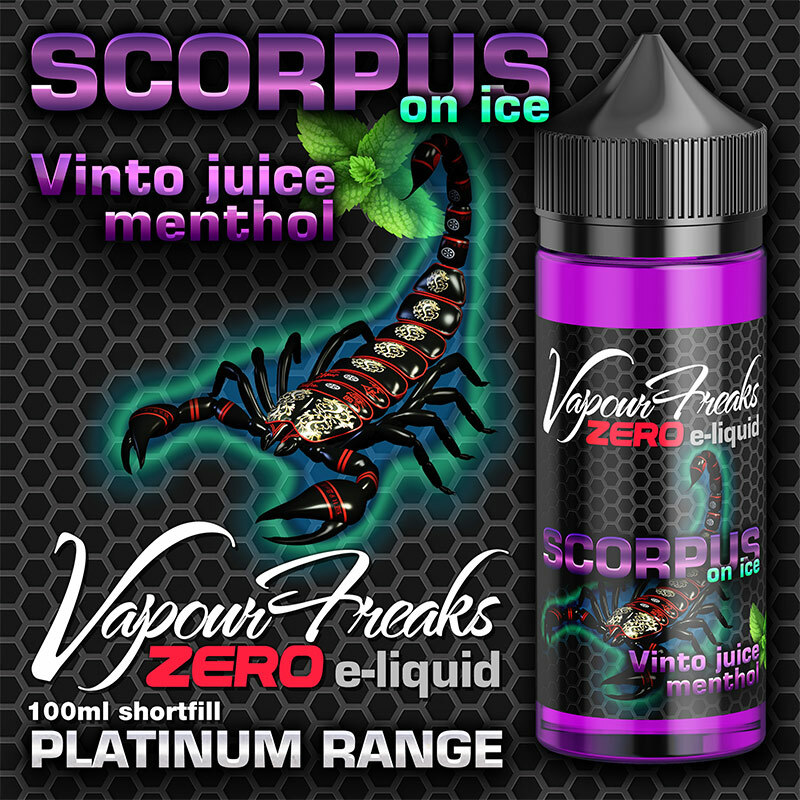 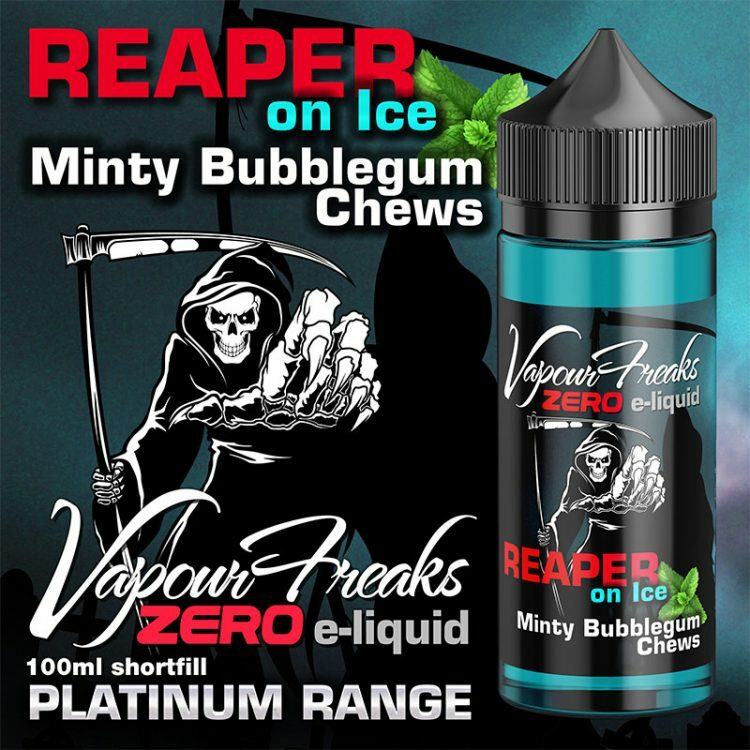 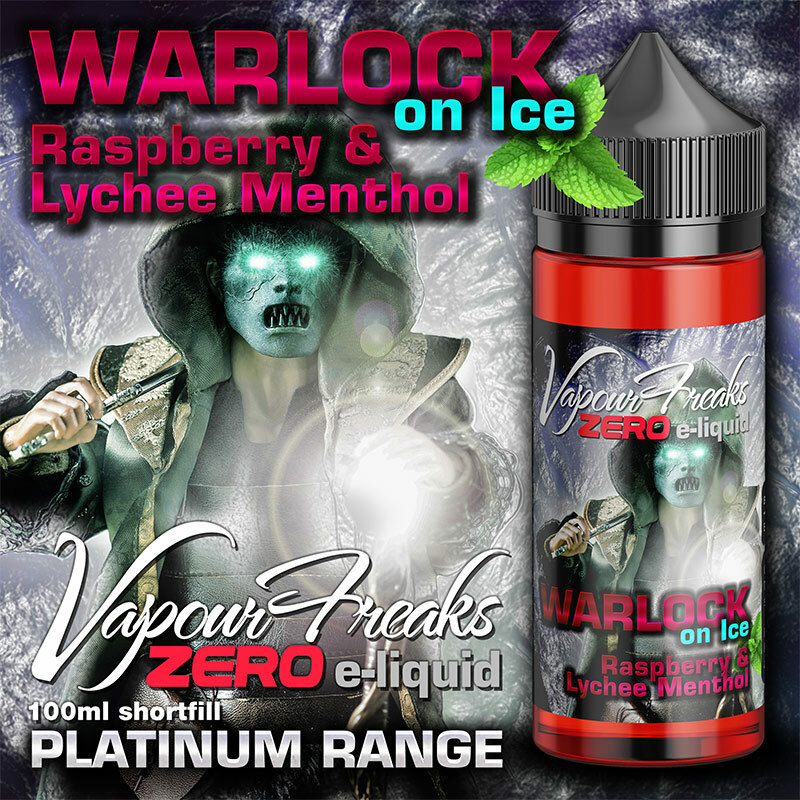 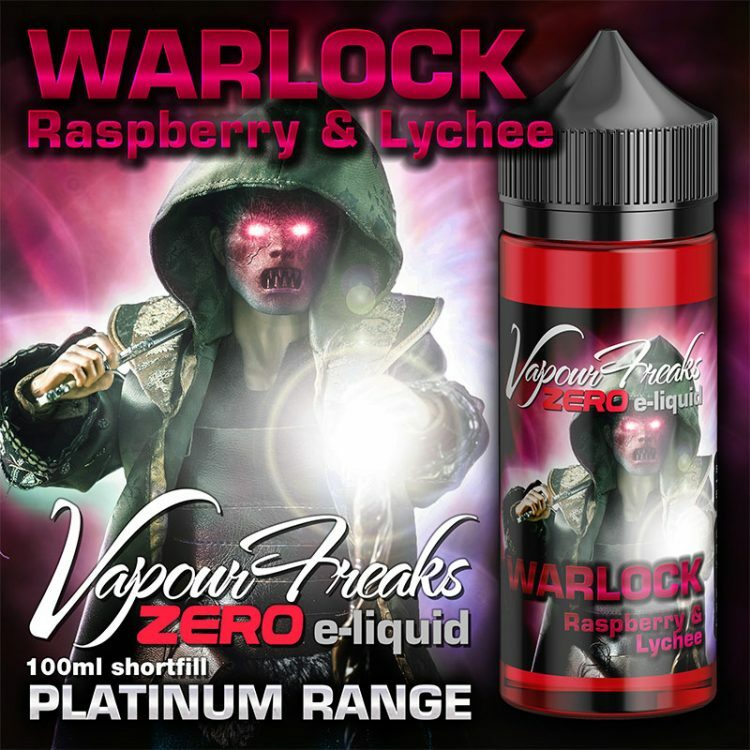 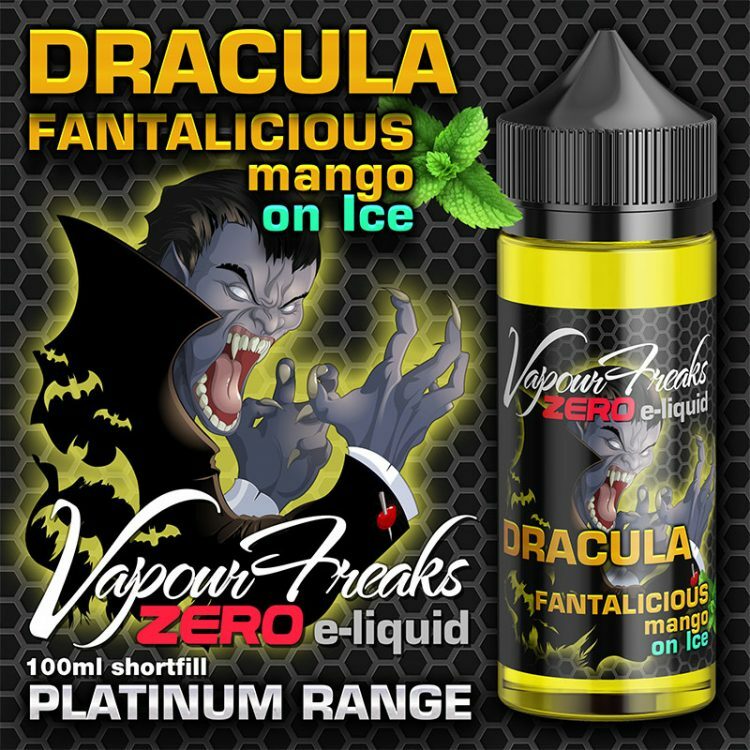 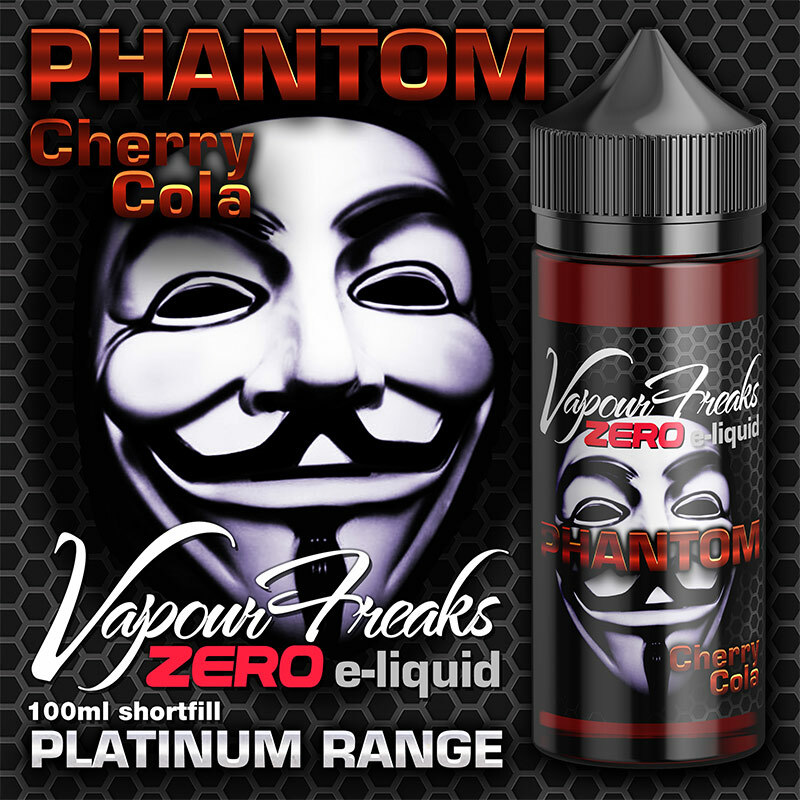 Vapour Freaks e-liquids are available in 50ml and 100ml shortfill bottles with zero nicotine. They can be used with nicotine shots as the 50ml has 60ml capacity and the 100ml has 120ml capacity. 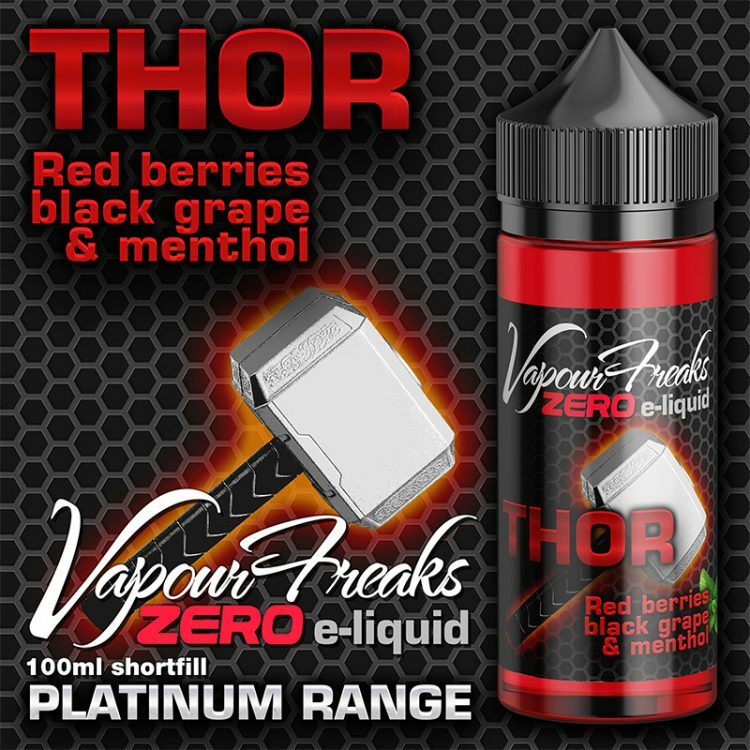 At 70% VG they are ideal for all-day sub-ohm vaping. 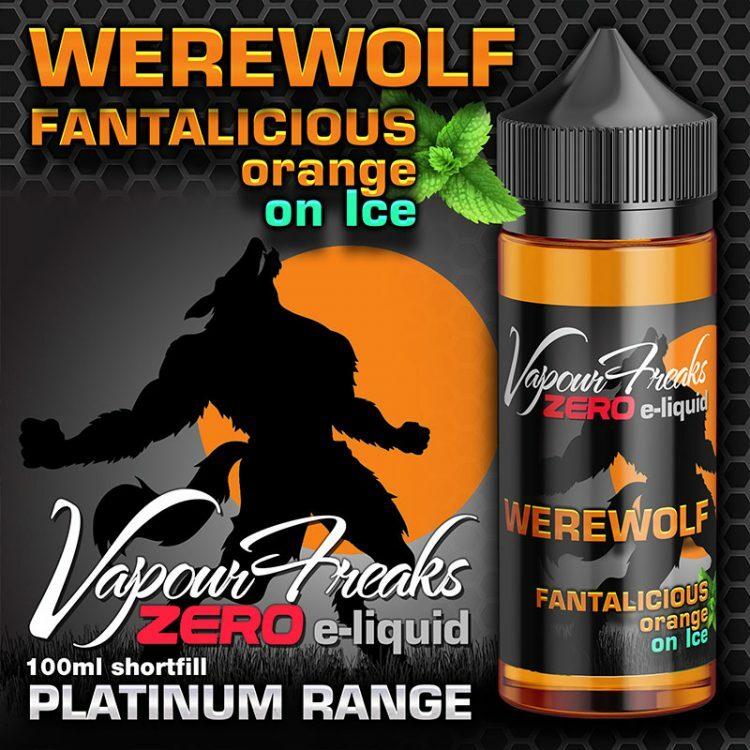 One 10ml nicotine shot, at 18mg nicotine strength, when added into a 50ml bottle of zero-nicotine e-liquid will produce 60ml of e-liquid at a nicotine strength of 3mg. 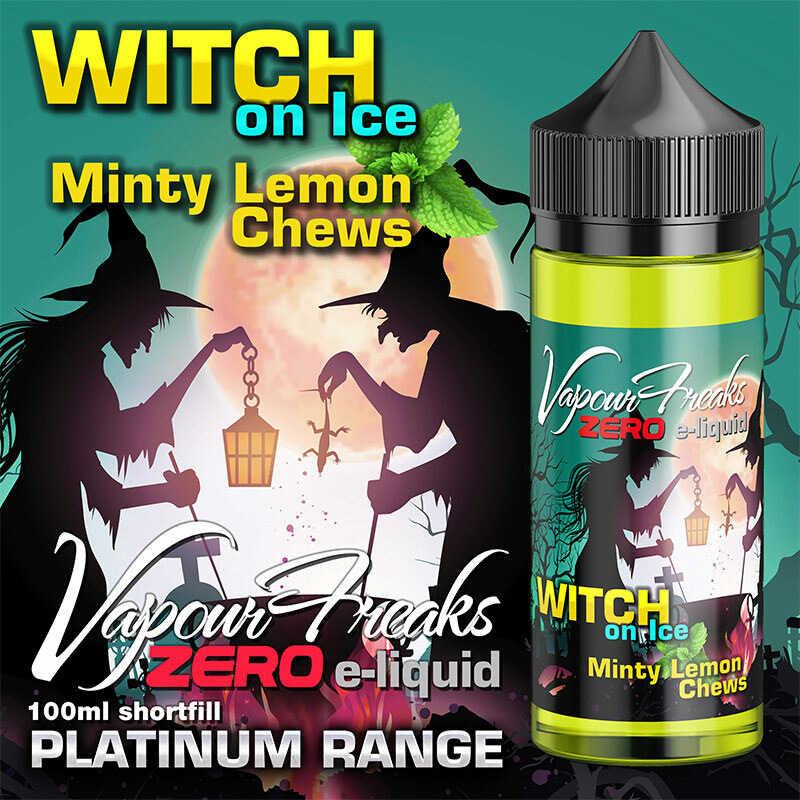 Two 10ml nicotine shots, at 18mg nicotine strength, when added into a 100ml bottle of zero-nicotine e-liquid will produce 120ml of e-liquid at a nicotine strength of 3mg. 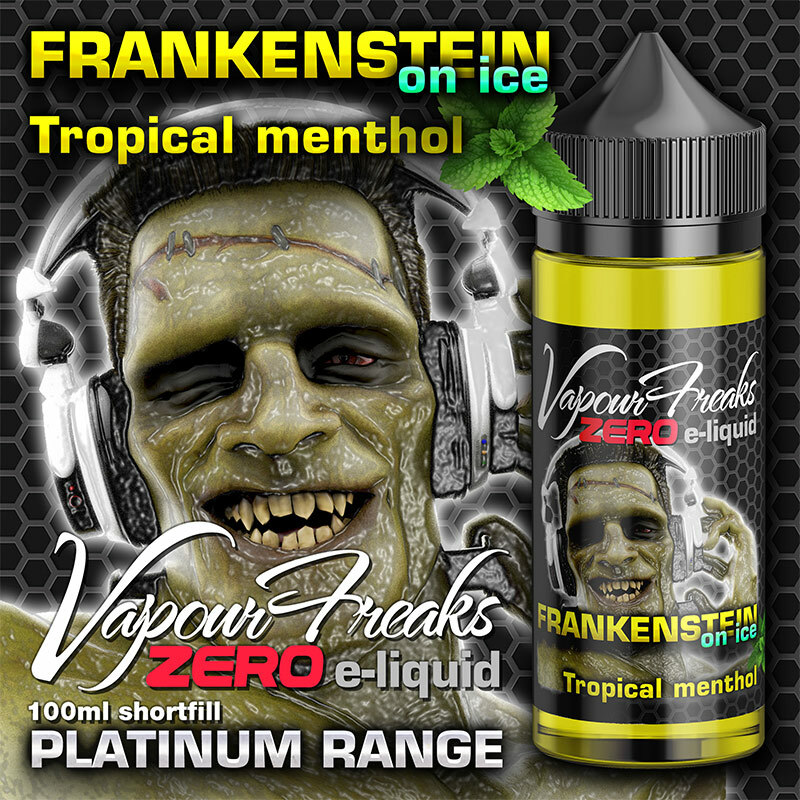 GENERAL PUBLIC: Vapour Freaks e-liquids can be purchased online HERE. 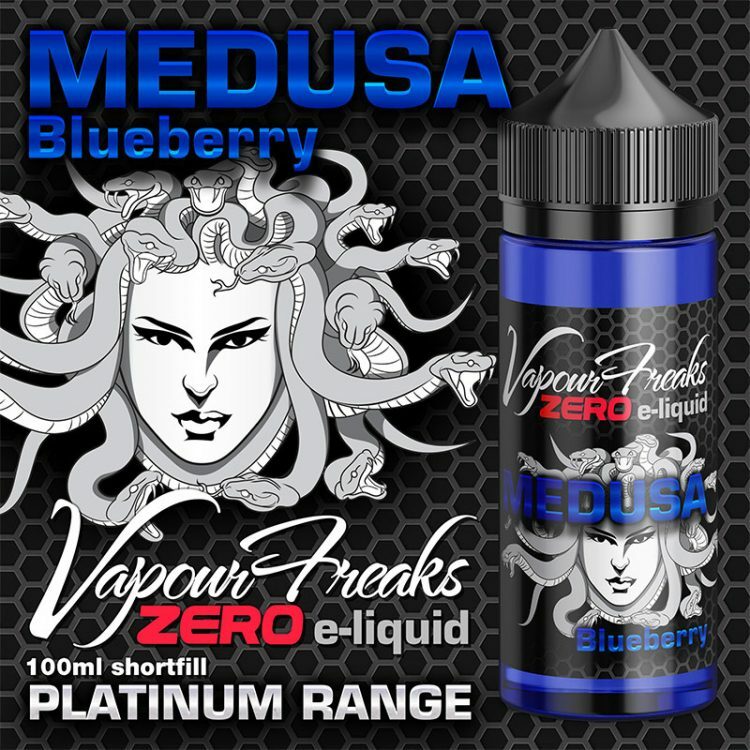 The delivery charge is £10 for small orders of up to £150, £20 for orders from £150 to £4,500, and orders over £4,500 are FREE DELIVERY. All orders must be fully inspected upon delivery and any errors reported to us within 48 hours.